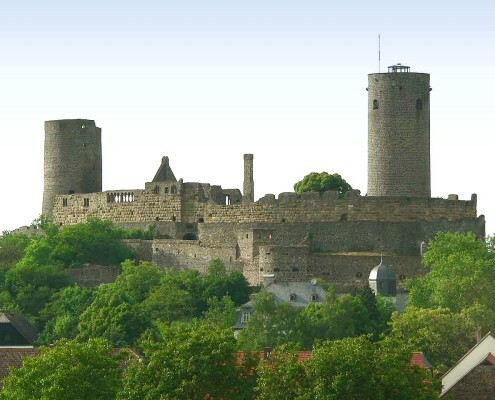 “Münzenburg” castle can be seen from our terrace and dates back to the High Middle Ages. 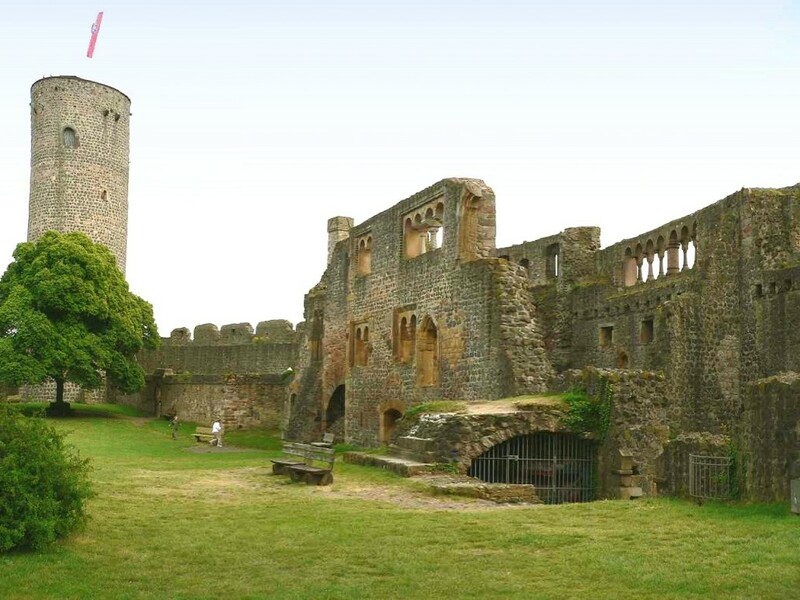 For longer-lasting impressions, however, it is advised to visit the vast castle complex, which, along with “Wartburg zu Eisenach”, was once one of the most important castles in Germany. 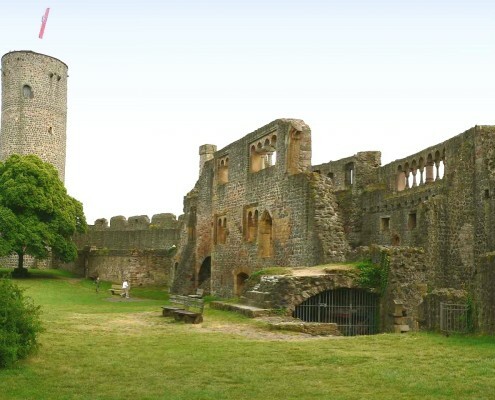 Up until the 16th century, extension work was ongoing, transforming the castle into a fortress. The two round towers are still visible today and have led “Münzenburg” to be given the nickname “Wetterauer Tintenfass” (Wetterau inkwell). Upon leaving our car park, turn left onto the B488 and continue for 6km until you reach the village of Münzenberg. After that, simply follow the signs. 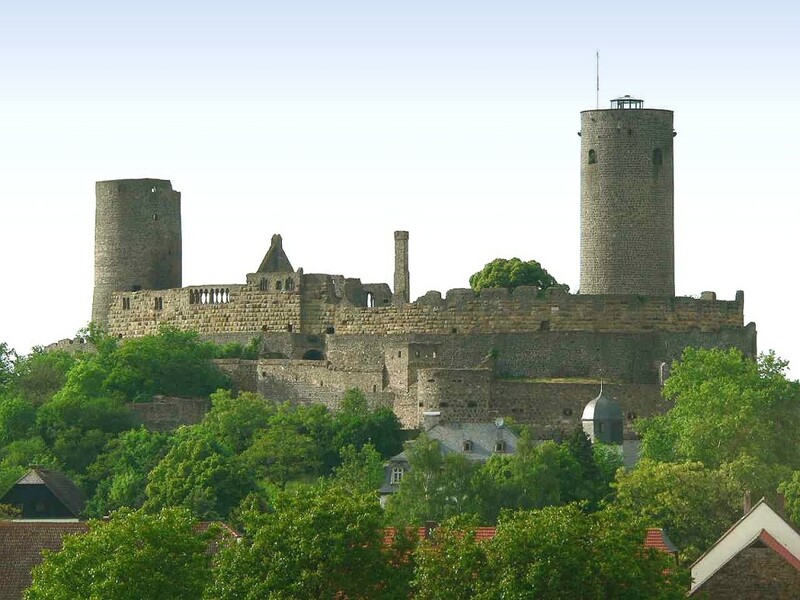 At www.muenzenberg.de you can find comprehensive information about the history opening times and entrance fees of the castle.